This is the Eli Jones formula that he called "Cancer Drops" because it addresses some of what he regarded as the underlying causes of cancer, such as vaccine residuals, lymphatic congestion, and lowered immunity. Contains: Baptisia tinctoria (wild indigo), Phytolacca (poke root), and Thuja occidentalis (white cedar) in Organic Alcohol, Distilled Water, and Vegetable Glycerin. This blend of important Ayurvedic herbs has been formulated to promote deep sleep while simultaneously gently cleansing the brain and fine tuning appreciation of the divine inspiration that is intended to guide us. It is not a dream formula but a formula that supports peaceful and rejuvenative rest. Contains: Proprietary extract of Centella asiatica aerial parts, Acorus calamus root, Ocinum sanctum leaf, Mucuna pruriens seed, Piper methysticum root, Cyperus rotundas rhizome, Foeniculum vulgare seed, Tinospora cordifolia stem, Myristica fragrans seed, and Tamarindus indica fruit in Distilled Water, Organic Alcohol, and Pure Vegetable Glycerin. This blend can be dabbed onto delicate structures such as eyelids or used on a cloth that is covered with an occlusive bandage. Contains: extracts of Iris versicolor root, Trifolium pratense flower top, Sanguinaria canadensis root in distilled water, organic alcohol, vegetable glycerin, and organic apple cider vinegar. Gall Bladder Prime, 4 oz. Choleretic and cholagogue herbs are blended with carminative herbs to improve bile viscosity. This formula is suitable where there is biliary stasis and/or liver stagnation. The formula is being substituted for Stone Free which is currently unavailable due to difficulty sourcing gravel root. Dosage: 60 drops, 2-4 times a day. Contains: Great Celandine, Chelidonium majus, whole plant; Fringetree, Chionanthus virginia, root bark; Fumitory, Fumaris officinalis, aerial parts; Peppermint, Mentha piperita, leaf; Boldo, Peumus boldo, leaf; Dandelion, Taraxacum officinalis, root; Artichoke, Cynara scolymus, leaf; Orange, Citrus sinesis, peel; Fennel, Foeniculum vulgaris, seed; in distilled water, organic cane alcohol, and vegetable glycerin. Goji Elixir, Glycerite, 4 oz. Contains: Mongolian goji berries, hawthorn berries, milk thistle, astragalus, galangal, and cinnamon bark in distilled water, organic grain alcohol, and vegetable glycerin. Please note: this glycerite formula does contain alcohol. Contains: Proprietary blend of extracts of Melilotus officinalis, Rorippa nasturtium-aquaticum, Astragalus membranaceus, Eleuthrorococcus senticosus, Angelica archangelica, Urtica dioca, Silybum marianus, Ligustrum lucidum, Smilax ornata, Taraxacum officinale, Curcuma longa, Zingiber officinalis, Cinnamomum cassia, and Capsicum minimum in distilled water, organic grain alcohol, and pure vegetable glycerin. Contains: proprietary blend of Milk Thistle seeds, Ginger root, Dandelion root, Yellow Gentian root, Fennel seed, Licorice root, Turmeric root, Bupleurum root in organic cane alcohol, distilled water, and vegetable glycerin. This is our version of the well-known Essiac formula used by Rene Caisse after learning about it from the husband of a breast cancer patient who attributed her survival to four herbs used by the Ojibwa Indians to treat malignant conditions. The name is Caisse spelled backwards. According to the those who have studied the formula, all four herbs normalize bodily systems by purifying the blood, promoting cell repair, and aiding effective assimilation and elimination. When combined, their separate beneficial effects are synergistically enhanced. We have named this Ojibwa Detox to give credit to those who passed the recipe to others and to emphasize that our view is that the formula is primarily detoxifying. Contains: Proprietary Extract: Burdock (Arctium lappa) root, Sheep Sorrel (Rumex acetosella) leaf, Slippery Elm (Ulmus rubra) bark, and Turkey Rhubarb (Rheum palmatum) bark in Organic Cane Alcohol, Distilled Water, and Vegetable Glycerin. This formula has been developed to help people assimilate high quality potassium from natural plant sources. The plants are combined with mucilaginous herbs that provide protection from potentially harmful substances. These support the delicate tissues of the reproductive system as well as the bone marrow and gastrointestinal tract. Irish moss provides a wholesome source of natural potassium iodide. Contains: proprietary blend of thirteen herbs, including Ginkgo biloba leaf, Chondrus crispus thallus, Avena sativa milky seed, Astragalus membranaceus root, Dioscorea villosa root, Beta vulgaris whole plant, Ziziphus jujuba fruit, Achillea millefolium flowering top, Silybum marianum seed, Ulmus rubra bark, Bupleurum falcatumroot, Foeniculum vulgare seed, Cinnamomun loureiroi bark in distilled water, organic cane alcohol, and pure vegetable glycerin. This product is intended to be diluted in water and used as an oral rinse. It is antiseptic and astingent and improves oral hygiene. Contains: Alchemilla vulgaris herb, Echinacea angustifolia root, Hydrastis canadensis root, Salvia officinalis leaf, Spilanthes acmella herb, Commiphora molmol resin, Eucalyptus globulus leaf, organic alcohol, distilled water, and pure vegetable glycerin. This formula has been developed to help people to stop smoking. It addresses the craving as well as some of the side effects of the tobacco habit. Contains: Proprietary blend of extracts of Verbascum thapsus leaf, Acorus calamus root, Aralia californica root, Glycyrrhiza glabra root, Avena sativa seed, Passiflora incarnata herb, Pueraria thomsonii root, Trifolium pratense flowering top, Lobelia inflata herb, and Ligusticum porteri root in distlled water, pure vegetable glycerin, organic grain alcohol, and organic cider vinegar. Proprietary formula containing concentrated extracts of: Scrophularia nodosa, Phytolacca americana, Rumex crispus, Celastrus scandens, Podophyllum peltatum, Juniperus communis, Corydalis formosa, Guaiacum officinale, and Xanthoxylum herculis in distilled water, organic grain alcohol, organic honey, glycerin, and essential oil of lemon. Contains: Proprietary formula containing concentrated extracts of: Scrophularia nodosa whole plant, Phytolacca americana root, Rumex crispus root, Celastrus scandens root, Podophyllum peltatum root, Juniperus communis berry, Corydalis formosa tuber, Guaiacum officinale resin, and Xanthoxylum clava-herculis seed in distilled water, organic grain alcohol, organic honey, and glycerin. 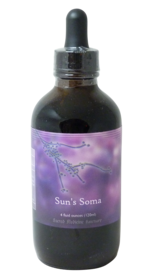 Sun's Soma, Fungal Lung Formula, 4 oz. This formula is available in 2 oz. and 4 oz. sizes. 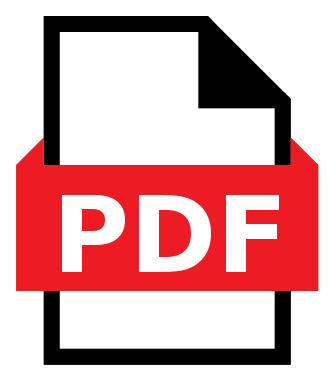 It is specifically intended for use by persons who have had inhalation exposure to fungi. It is recommended that persons who are also allergic to mold combine this formula with Jatoba. Contains: Asclepias tuberosa root, Aspidosperma quebracho bark, Baptisia tinctoria root bark, Glycyrrhiza glabra root glycerite, Grindelia sqarrosa flower, Inula helenium root, Sambucus cerulea flower glycerite, Tabebuia impegtinosa bark, Thymus vulgaris leaf, Trifolium praetense flowering top, pure vegetable glycerite, distilled water, pure grain alcohol, approximately 40%. This contains the same herbs as the Elixir and Glycerites but there is no honey or glycerin. It can be used by those who are on the road or who for one reason or another prefer the extract. It can also be used to make an elixir and save weight for shipping. Contains: Proprietary formula containing concentrated extracts of Trifolium pratense blossoms, Mahonia aquifolium root, Stillingia sylvatica root, Chondrus crispus herb, Glycyrrhiza glabra root, Phytolacca americana root, Smilax officinalis root, Rhamnus frangula brak, Arctium lappa root, Cascara sagrada bark, and Zanthoxylum clava-herculis berries in distilled spring water, organic grain alcohol, clover honey, vegetable glycerin, and certified organic pure essential oil of sweet orange. Contains: Anantamool, Hemidesmus indicus, Guduchi, Tinospora cordifolia, Haritaki, Terminalia chebula, Kachur, Curcuma zedoaria, Licorice, Glycyrrhiza glabra, Manjishta, Rubia cordifolia, Turmeric, Curcuma longa, Galangal, Alpinia galangal, Kutki, Picrorhiza kurroa, Organic Alcohol, Vegetable Glycerin, and Essential Oil of Lemon. "Triple Zing" gets its name from three members of the ginger (Zingiber) family: ginger, galangal, and turmeric. All three herbs are used both medicinally and in cooking. They support better digestion, particularly by aiding fat metabolism. This formula is intended by use by people who need more zip and zing: it is warming, stimulating, and carminative. Contains: proprietary blend of fresh organic Zingiber officinalis rhizome, fresh organic Curcuma longa tuber, and dried Alpinia officinarum rhizome in Distilled Water, Organic Alcohol, and Vegetable Glycerin. Yellow Dock Elixir, 4 oz. For a long time, Sacred Medicine Sanctuary produced a yellow dock glycerite based on the work of Dr. John Christopher. It was used to rebuild red blood cells. This replacement of the original product combines Rumex crispus with Celastrus scandens and Scrophularia nodosa, two of the main ingredients in the Seneca Elixir. It is made with pure blackstrap molasses to increase the benefit. Contains: Rumex crispus is combined with Ziziphus jujuba fruit and Scrophularia nodosa. It is extracted in organic grain alcohol, vegetable glycerine, and distilled water and then blended with pure blackstrap molasses because of the minerals in molasses.